Do you know that person who always makes sure not a hair is out of place? Or the person who always tries to make sure they are the best and perfect at what they do? Well, they are a perfectionist. What does it mean to be a perfectionist, though? What are the different types, symptoms, causes, measurement, and treatments? What are the positive and negative aspects of being a perfectionist? How is it related to narcissism? “My life has been nothing but a failure,” said Claude Monet after destroying 15 paintings (meant to open an exhibition) in a temper because they weren’t perfect. In psychology, being a perfectionist means having a personality trait that is distinguished by a person aiming to be flawless and setting high standards. Also accompanied by having quite critical self-evaluations and being concerned with others’ evaluations of that person. Being a perfectionist is a multidimensional characteristic. In the adaptive form of being a perfectionist, the perfection drives the person to meet their goals while in the maladaptive form, the perfection makes the goal an unattainable idea. Either way, pleasure is derived from perfection and meeting goals. When goals aren’t met, a perfectionist often falls into a spell of depression. Although there does exist a general type of perfectionism that affects each domain of life, some scientists claim that the levels of being a perfectionist differ significantly across different realms of life. For instance, home life differs from work which differs from interpersonal relationships which in turn is different from academics. In 1978, D.E. Hamachek claimed there are two types of perfectionists- normal and neurotic. Scientists K. Otto and J. Stoeber argue that there are two types of perfectionism for them- perfectionistic strivings and perfectionistic concerns. The theory of normal perfectionism is also known as positive striving perfectionism, active perfectionism, positive perfectionism, and adaptive perfectionism. A normal perfectionist would be more willing to pursue perfection without damaging their self-esteem. They would get pleasure from the effort of trying to reach perfection. The theory of neurotic perfectionism is also known as maladaptive evaluation concerns perfectionism, passive perfectionism, negative perfectionism, and maladaptive perfectionism. A neurotic perfectionist is someone who strives for unrealistic goals and feels unhappy and unsatisfied when the goals aren’t reached. Others disagree with this notion of normal vs neurotic perfectionism because they see even the normal perfectionist as being unhealthy and abnormal. To them, absolute perfection can never be obtained. Perfectionistic strivings are known to be connected with positive aspects of being a perfectionist while perfectionistic concerns are known to be connected with negative aspects. People who are considered “healthy perfectionists” score high on the strivings aspect and low on the concerns aspect. Unhealthy perfectionists are slightly the opposite- high in concerns, but also high in strivings. People who aren’t perfectionists score low on the strivings aspect. The men in charge of this theory challenged the common belief that being a perfectionist is a bad thing. As a matter of fact, they found that people who scored high in the strivings and low in the concerns aspect actually had higher levels of self-esteem, social interaction, agreeableness, and academic success. The high-in-strivings-low-in-concerns people also generally have less anxiety/depression and maladaptive coping skills that are usually associated with being a perfectionist. It’s all or nothing. A perfectionist has the tendency to set high goals and won’t be satisfied until that goal is met with excellence and flying colors. “Almost perfect” can be seen as a failure. Unrealistic standards. Perfectionists have high-set goals that aren’t always realistic, reasonable, or out-of-reach. Depressed due to unmet goals. While no one feels great about failure, perfectionists tend to beat themselves up and feel negative when met with failure. Defensive. They can be incredibly defensive about constructive criticism rather than taking it as valuable information to better the action. Critical. A perfectionist is critical of themselves and others. While someone who is a high achiever and non-perfectionist may accept the victory, a perfectionist has to pinpoint every teeny tiny mistake made while on the way to victory. They can be incredibly hard on themselves and judgemental about failure and imperfection. Low self-esteem. Because they are so self-critical, and their critical nature pushes others away, many perfectionists feel lonely and unhappy due to how they can sometimes act. Procrastination. While it seems silly that being a perfectionist and being a procrastinator go together, it’s true. As a perfectionist fears failure, they worry about doing something imperfectly to the point that they don’t do it. People who have a history of high achievement might feel extreme pressure to live up to their past achievements which can cause them to participate in perfectionistic behavior. Some parents might push their kids to be perfectionists. Therefore, child development, as well as parenting styles, might play a role. For example, expressing disapproval when their kids’ achievements aren’t the best in the class or what the parent wants. Perfectionist: Can it be measured? The (Frost) Multidimensional Perfection Scale was developed in 1990 and has six dimensions that measure perfectionism: high personal standards, worry about making mistakes, preference for organization and order, doubting quality and worth of one’s actions, the perception of high parental expectations, and perception of high parental criticism. Another scale was developed in 1991 that has 45 items that measure three different aspects of a perfectionist’s self-presentation- self-oriented perfectionism, other-oriented perfectionism, and socially prescribed perfectionism. Self-oriented perfectionism means having unrealistic expectations about oneself that lead to a perfectionistic motivation (e.x. Wanting beauty out of vanity). Other-oriented perfectionism means having unrealistic expectations for others that turns into self-pressure to act as such. Socially prescribed perfectionism means developing perfectionistic motives because their family, partner, and/or friends expect them to be perfect (such as parents pushing their kids to be the absolute best in academics and/or sports). In 1996, the Almost Perfect Scale was revised to the Almost Perfect Scale-Revised (APS-R) in order to be able to identify both adaptive and maladaptive behavior of perfectionists as well as non-perfectionists. Usually, the APS-R is easy-to-use and is used to identify perfectionism in both adults and adolescents. There also exist two other forms of the scale- the Dyadic Almost Perfect Scale (a scale made to measure intimate partners) and the Family Almost Perfect Scale (a scale made to measure the perceived perfectionism from one’s family). People are classified based on their scores for having discrepancy (referring to the personal belief that high standards aren’t being met), order, and high standards. Adaptive and maladaptive both have high scores on the order and high standards sections. However, in the discrepancy section, the maladaptive rate high while the adaptive rate lower. In one study, adolescent maladaptive perfectionists scored higher in having a high level of satisfaction than non-perfectionists. This suggests that the high standards of an adolescent might protect them from the challenges of having unmet personal satisfaction when standards aren’t met. The Physical Appearance Perfectionism Scale (PAPS) measures only the type of perfectionism that has to do with the desire for the perfect physical appearance. The PAPS is an assessment with multiple aspects of physical appearance; however, it’s most accurate when the sub-scales are rated separately. However, it lacks psychological literature and studied to confirm the scales’ validity and soundness. Usually, the scale allows the researcher to specify a person’s body image with their own way of looking at themselves- their self-conception. The scale uses two subscales- Hope For Perfection and Worry About Imperfection. Those that have high scores on the hope-for-perfection have high levels of self-perception about their appearance along with higher levels of ambition and positive management behaviors. Those who have high scores on the worry-about-imperfection scale are often concerned with inadequate physical appearance and bodily control behavior along with poor levels of self-perceptions about their appearance. How does being a perfectionist affect the brain? Think about how tired you feel after working hard on a project in order to make it as perfect as possible before turning it into your boss. Your brain doesn’t want to function afterward. The infamous writer’s block is another way to look at it. This is because perfection actually exhausts the brain due to stress. This phenomenon is known as work paralysis due to excessive job stress. Perfection is stressful and when the brain is so exhausted from stress, it (kind of) shuts down in a paralysis that comes from being counter-productive (at least, you feel like it’s being counterproductive because it goes against your to-do list). There is a cluster of hormones that are dumped into the bloodstream when we experience stressful events. Those hormones include cortisol, the primary stress hormone that impairs brain tissue repairment, and adrenaline, which elevates blood pressure and heart rate. One study examined the relationship between working memory capacity and choking under pressure (pressure-filled performance decrements). The study found that when people who work under intense pressure but have a high working memory capacity (a trait of perfection), have a decline in their cognitive functions and abilities to perform certain skills. Essentially, the more demands- especially unrealistic demands- placed on the working memory capacity, the less efficient the brain can be. The brain also never gets that endorphin rush of happiness when something is completed because perfectionists are always searching for perfection. The simple belief that complete and utter perfection exists essentially guarantees our feeling of failure that will occur eventually. Perfectionism starts young. One study that was performed across multiple generations between 1989 and 2016 found that there are more and more college undergraduates (in the UK, Canada, and the US) that are considered perfectionists than in the years prior. As many as 2 in every 5 kids/adolescents are perfectionists. Perfectionism also includes many physical issues. 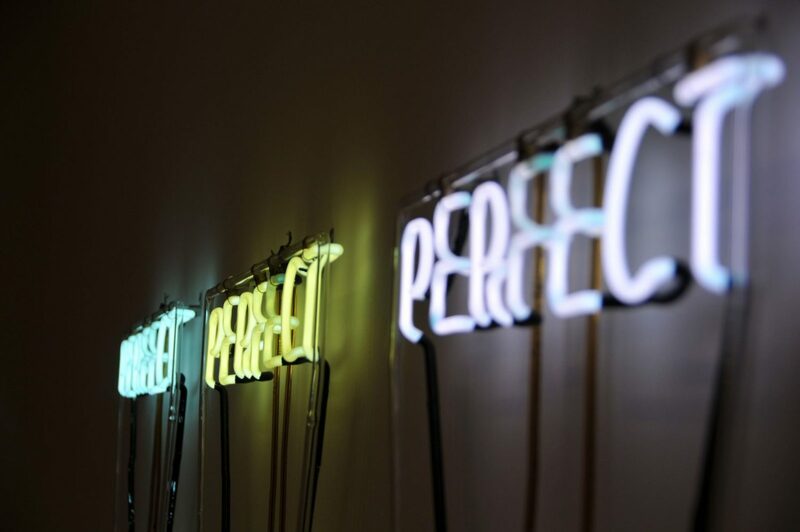 There is a strong correlation between eating disorders and perfectionism. Makes sense with societal pressures to be Barbie perfect. Also with suicide and early mortality. It’s been found that having high standards, a tell-tale sign of perfectionism, is linked to higher suicide rates. A study found that people who are optimistic often have longer lives while perfectionists are less likely to live as long. Chronic headaches are also seen to be correlated with perfectionism. Another study found that university students with perfectionist tendencies also have chronic headaches. High standards (and being hardworking) can help someone not settle for something they may not actually want and obtain it as well as stand out in a crowd. Need for improvement means that a perfectionist, while theoretically impossible to reach perfection, can at least improve one’s skills over time. Being conscientious helps to avoid possible errors as much as possible/controllable. Attention to detail, like being conscientious, is never a negative aspect. Post-traumatic stress disorder (PTSD). One study used 30 participants who were coping with PTSD and found that there is a strong correlation between perfectionism and PTSD. Eating disorders such as bulimia, anorexia, and binge eating. Hoarding. People who hoard tend to always have what’s needed- the perfect thing. So, it makes sense that a hoarder would also have perfectionistic traits. Anxiety and depression in both adults and in children. One study looked at the correlation between perfectionism and generalized anxiety disorder (GAD) and found a strong correlation. Another study looked at how neuroticism and perfectionism are indicators of social anxiety disorder. Insomnia. Makes sense, too! Think about all those nights you lay awake and wish you would have done something better, wouldn’t have said whatever you did to your colleague, or remembered that you had the perfect comeback… One study found that there is a strong correlation between chronic fatigue syndrome and perfectionism- the best course of treatment being cognitive behavioral therapy. Obsessive-compulsive disorder (OCD). Considering they are two peas from the same pod, it makes sense that they would be related. The correlation between the two has also been studied. Agoraphobia. One study found the correlation between perfectionistic tendencies and agoraphobia- fear of embarrassment. There is a fine line between being a narcissist and being a perfectionist. Being a narcissist is a self-perceived form of the concept of perfectionism. Oftentimes, narcissists are pseudo-perfectionists- pretending to be but aren’t really perfectionists. They try to be the center of attention and will create situations in order to receive the most attention possible whereas a perfectionist’s goal isn’t to be the center of attention. However, there is a similarity between the two in the fact that if either the narcissist or perfectionist falls short of their goal, they feel guilt, anger, or anxiety about it. Perfectionism is most often measured for medical professionals by using the Multidimensional Perfectionism Scale. After being diagnosed on the scale, people treat extreme perfectionism with cognitive behavior therapy (CBT). This type of therapy is used specifically in order to focus on the issues that are causing the perfectionism rather than treating the perfectionism directly. For example, focusing on where the fear of failure comes from rather than telling the perfectionist to lower their standards and call it a day. You think in an all-or-nothing way. You spend too long writing, rewriting, and writing again a four-sentence email. You procrastinate or avoid situations in which you might not excel or do well in. Anything less than perfect isn’t worth the time. You have a hard time being happy for others who are successful. You have demanding standards for both yourself and others. You fixate on your mistakes. For example, missing two points on an exam is considered failure. You focus on the end (and it must be perfect) rather than the process of learning. You don’t trust others to do the task (well enough), so you do it yourself. Are you a perfectionist? Let us know what you think in the comments below!